It’s 10:02 pm and I’m sitting here eating a bowl of homemade granola with almond milk and wild blueberries. I am so addicted to this sh** it’s not funny. Combine the first 5 ingredients in a large bowl. In a saucepan on the stove, melt together honey, coconut oil, cinnamon and vanilla, stirring occasionally, until combined. Pour honey mixture over oat mixture and stir to coat. 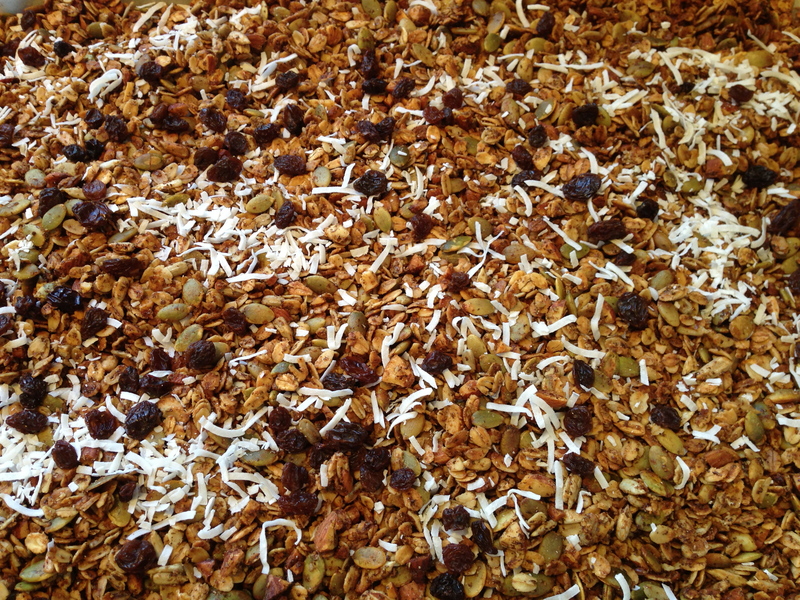 Spread out oat mixture on a cookie sheet. Bake for 20 minutes, stirring every 5 minutes. Let cool and add raisins and coconut. 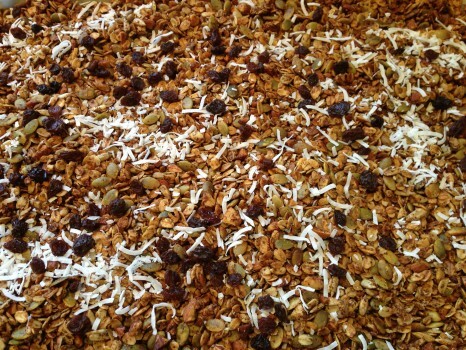 I fantasize about adding mini chocolate chips but that would put this granola on a slippery slope. Sharing is caring. 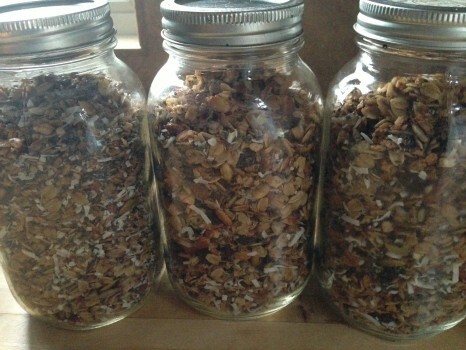 Jars of homemade granola make a groovy hostess gift. Thanks to Mia Brown from Good. Clean. Food. for sharing this recipe with us!